"Creamy cheese sauce with pasta & seasoning. 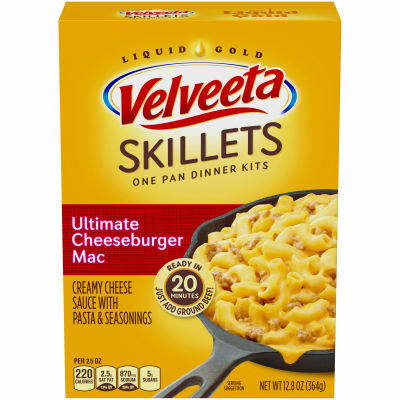 Make your family smile with ooey gooey velveeta cheesy skillets. Made with smooth and creamy velveeta cheese sauce--it's the good stuff!" Serving size 2.5 oz (70g/ about 1/5 package).